What was your path to Venture Capital like and why’d you make that career change? You’ve been very successful with exits- is there a framework you apply to identify these? Can you explain further about your tidal investing strategy and how it has changed? With your expansive experience in Venture, do you believe are changes necessary in the silicon valley mentality? How active of a role do you play with your portfolio founders? You said you love to take the subway and observe what people are doing- what are some things you are spotting now and what are you spotting across the world. Why’d you write “Survival to Thrival”? Through your recent observations, what is the next big thing you are testing in Korea? You talk a lot about split personalities, when did you realize this was a necessary quality and how long did it take you to develop this yourself? How has this also changed over your tenure as a CEO? You’ve stated that founders have to stay both pragmatic and ambitious. In tech it’s often a problem when you build out infrastructure or sales before everything is ready. On the flip side sharing too many problems or issues with your team and investors will make them wary. Have you had any of these occurrences with finding a balance and what would you advise the audience as solutions. How have you developed a positive attitude despite the dichotomy of feelings day in and day out? 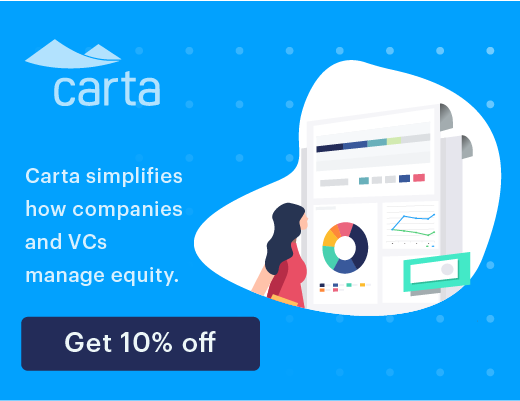 How would you advise other founders and CEO’s to deal with this? How do you actually identify true passion in founders and what are the criteria you use for this? How have you aligned Storm Ventures proclaimed company culture with the unofficial culture? What is your advice to other CEO’s trying to find a fit? In your book you talk about the 3 go to market elements. How long did it take you to realize these 3 things? You talk about identifying problems versus disastrous in the book. Can you tell us just the first step you founders should take if a problem is disastrous? 1. Prior to investing, Tae Hea was a venture attorney. As a lawyer, his Founders would tell him everything, but as he transitioned to VC, communication was heavily filtered. 2. Storm Ventures invests in enterprise, early-stage startups. 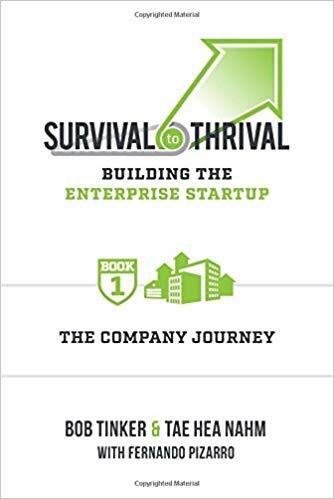 He believes that every company must figure out how to go from Surviving to thriving. That transition point happens when one figures out how to unlock growth. 4. The tactics of the fundamental models need to be adapted to tech and new markets, everything is constantly shifting. 5. As an investor, the best thing to find is a founder who can solve urgent pains early on. This allows them to become strategic with their customer from the outset. 6. The distinction between being product and service isn’t that important. You want the customer to be successful and the key to that is in how they use the solution. Don’t loose sight of growth margins and renewal numbers early-on. 7. Category leaders take the spoils. The race to become a category leader is difficult, but the winner can often raise unlimited amounts of money to maintain this position. 8. To be good at one category, you need workflow, good culture, and organization. 9. It’s hard to master multiple categories, because of organization and culture. This requires new leadership for these steps. Titles don’t change, but roles do. 10. Soul over skill sets. A successful CEO must have a double personality- externally versus internally. have to be paranoid of all the things that can go wrong (Galileo). 12. Being Self Aware allows a CEO to learn how their role changes and how to best to address the change. 13. The difference between founders and investors is like a parent and their child. There are so many things you want your “child” to do but the “child” does whatever they want to do. 14. You have to let founders grow their own way and manage your own frustration as an investor/board member. 15. 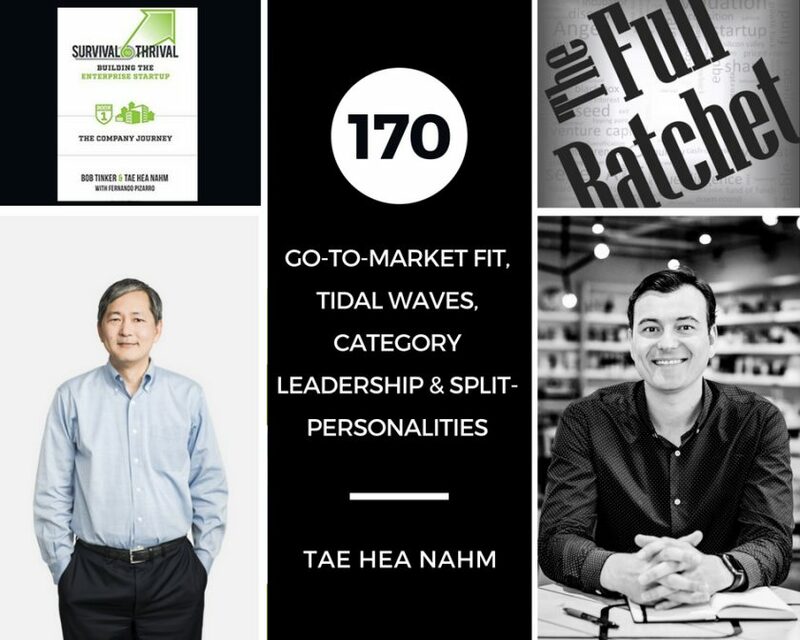 Tae Hea’s background in Applied Math allows him to use mental models and frameworks to find patterns and see the BIG PICTURE. 16. Tae Hea analyzed technology trends by comparing the NYC and Korean subways. 10 years ago, he noticed that Korea was far more advanced in mobile devices. 17. The biggest trend he observes in the IT space is the movement to leverage the cloud. 18. It’s very natural for startup founders to be superstars at one stage and struggle at the next. 19. At the start of a company, the best VP of Sales is Davey Crocket, an independent explorer who will find their own path through the wilderness. At the growth stage, Braveheart or Joan of Arc is needed– a warrior that will win deals. The scale stage requires a Dwight Eisenhower, politically aligning multiple warriors to move in one direction.